The Edward Snowden leaks in 2013 sent the world into a spin and none less so than in the intelligence agencies of both the United Kingdom and United States. The two year anniversary of the leaks is near but the documents obtained and released are still causing ripples around the world in various quarters. British newspaper The Sunday Times is today reporting that the full cache of leaked documents have been obtained by both China and Russia and in turn have been deciphered. Due to this thousands of previously secret documents detailing the whereabouts and operations of British and US spies from the likes of MI5 have now been put at risk and caused the intelligence agencies to not only move their agents but also change the way they carry out operations. Edward Snowden released secret intelligence documents to news outlets such as The Guardian who published certain aspects of them. In total it is believed that Snowden took over 1.7 million classified documents before fleeing his home in Hawaii for Hong Kong in 2013. Although there have been no reports of any intelligence agents being harmed as a direct result of the document decryption a UK Home Office official was outraged and stated that Edward Snowden had blood on his hands for leaking the documents that ultimately led to the Russian and Chinese authorities obtaining them. The BBC report that a government official stated that due to the information coming to light those in Russia and China now had a greater understanding of how western intelligence agencies operate and the movement of agents and because of that it has hampered efforts by the UK to gain vital information. While the movement of intelligence agents itself was headache enough for the government the future repercussions could be the most damaging with spies unable to work in locations previously covered removing the ability to gather intelligence from hostile countries. Many individuals applaud the leaking of documents by former US security contractor Snowden with over 167,000 signing a petition for him to be pardoned in the United States. The petition has largely been ignored even though only one hundred thousand signatures are required for the US government to debate an issue. It is now evident that the fallout of the release stretches much further than solely informing individuals about the mass surveillance capability of our governments. One author of The Sunday Times article who spoke with the BBC stated that the British authorities are extremely annoyed with Snowden for leaking documents. Although Snowden himself has claimed that nobody has got hold of his information the UK government are adamant that the Russian and Chinese authorities do indeed have access and as a result intelligence agents from both the UK and US have been removed from certain locations due to a fear for their lives. Although many members of the public champion Edward Snowden as a hero which ultimately led to many increasing their use of privacy tools western governments, on the other hand, have an altogether more difficult job fire-fighting the fallout of the exposure. 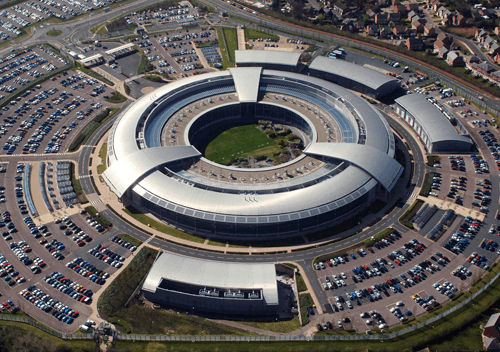 Former director of UK intelligence agency GCHQ Sir David Omand claimed that the revelations were a huge setback for both Britain, the US and Nato and that it was certainly harming those countries. Other sources claim we are all now less safe due to the reduction of the ability for the intelligence agencies to carry out their work in the same manner it previously did calling Snowden a “traitor”. Update #1 : Throughout the day the original story has been questioned by those in the security industry. None less than Glenn Greenwald who was one of a team of journalists that broke the original Snowden story has criticised the timing of the article with others stating it is conveniently timed only days after a UK report in to the surveillance organisations was published.